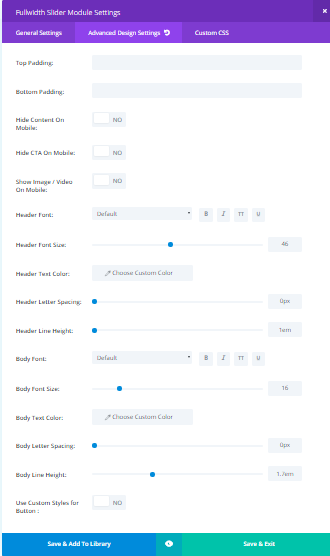 The Full Width Slider Module consist of basically three categories such as- “General Settings”, “Advance Design Settings”, “Custom CSS” by which the developer can upload the images in a full width screen or desired manner and set the website page screen with the features of full width slider like transparent background, animation, height and width of the image and screen text shadow. 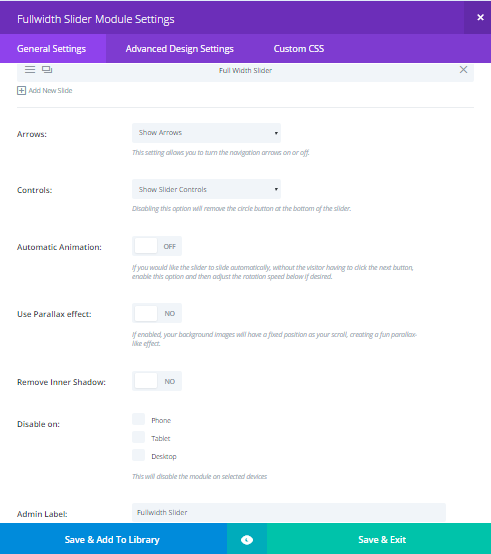 The Divi theme provides a module that is called “Full Width Slider” module. The full-width slider module is used to give the perfect size of the image on our website and we can also set the height and width of the image as per the requirements of our website screen. We can insert different images in the form of the sequence as per our desire. The full-width slider gives the opportunity to cover the full screen of website page by uploading the collection of images. In this category, we can change the font size of the text and we can also change the color of the text. We can maintain the letter spacing and the height or width of the text. We can customize the font style and also change the text color of the font of the body, the font size of the body, height and width of body height line, custom style and maintain the letter spacing of the body etc. The developer can add the link into the full-width slider image by using the third category of full-width slider module i.e. called Custom CSS. The developer adds or inserts the own designed code for the full-width image of the website into the Custom CSS sections. Hope you like the article, For more information related to this feature you can visit. Short feedback will helpful for us, Have a Nice Day!